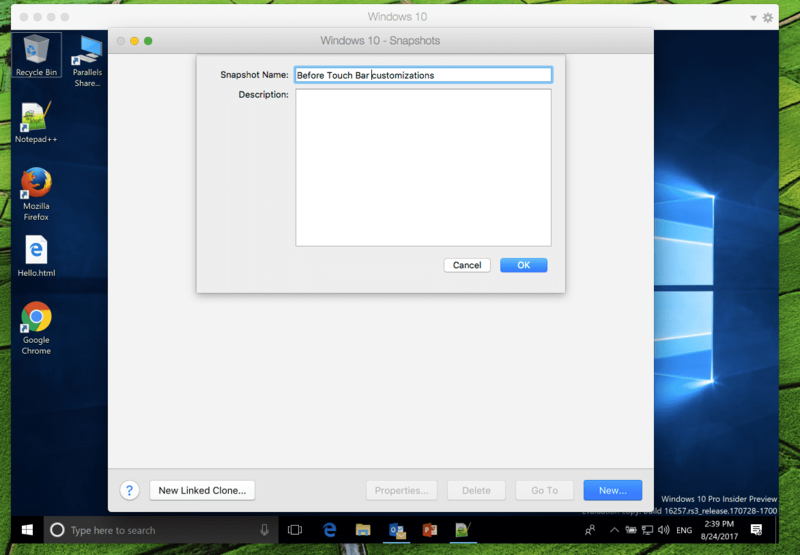 With Parallels Desktop® 13 for Mac (and Parallels Desktop® 14, as well), Mac® users can use Touch Bar™ for Windows applications. 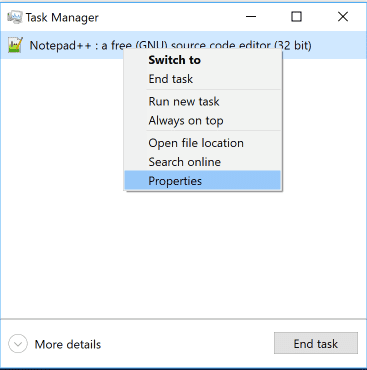 This function is supported in Windows 7, Windows 8, and Windows 10. To see App Controls in Touch Bar, make sure that some of the options with App Controls are selected in macOS® System Preferences → Keyboard pane. A Mac with Touch Bar is highly recommended. 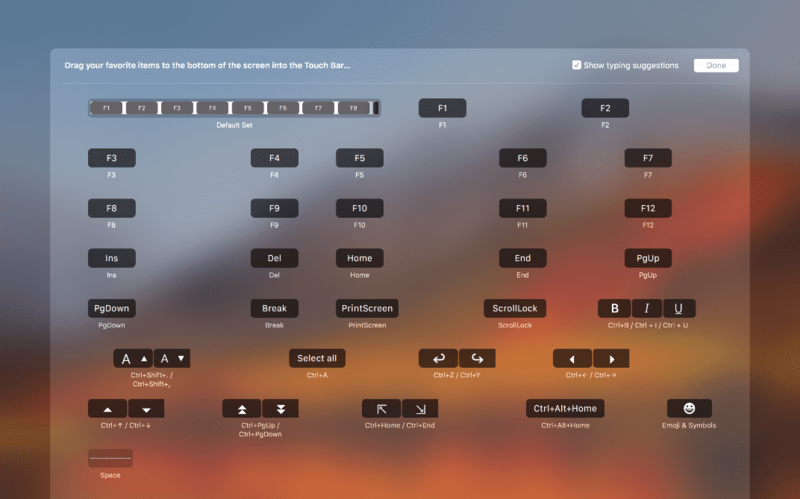 However, if you are trying to decide if it’s worth it, you can try a Touch Bar emulator like Touche on your Mac without Touch Bar. There are more than 100,000 different Windows applications that users run on a Mac with the help of Parallels. 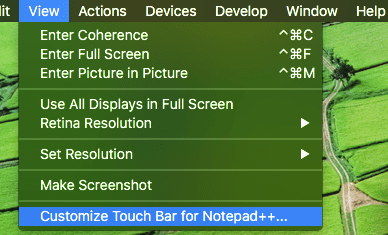 Some applications have predefined sets of Touch Bar commands, and others do not—it is impossible to support all of them. There is also a set for Windows Desktop and Start Menu that you can customize by pinning your favorite applications to Windows Task Bar. So, what about other applications? If you don’t see the menu, it may be that you have enabled Functional keys for Parallels Desktop in macOS System Preferences → Shortcuts → Function Keys. Just remove Parallels Desktop from the list. What if buttons that we have in this dialog don’t fit your needs? There is a way to customize Touch Bar for any application. All you need is to figure out how to complete the action with a keyboard, and some patience to fine-tune things. 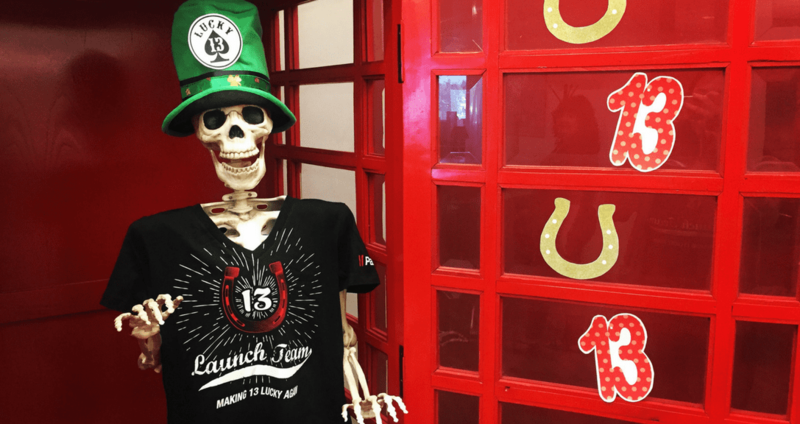 If you are not tech savvy, then get ready to fail, fight, and ultimately succeed. Note: Parallels doesn’t officially support this way of Touch Bar customization, so you are doing it at your own risk. First you need to understand what you want and how to achieve it. For example, I am using Notepad++ to edit an HTML file, and I like to check how the webpage looks in different browsers. This is important: for an action you want to see in Touch Bar, you need to be able to achieve it using your keyboard. If this is possible, then you can create a Touch Bar button for this action. Parallels Desktop is an amazing software, and making a Windows backup is super easy. In Window mode, select “Actions → Manage Snapshots…” and select “New…” here. You can also reach this item from Control Center, the Parallels icon in the menu bar, or the Windows icon in the Dock. When you are done with Touch Bar customization, you can remove the Snapshot to release disk space. To explain to Parallels Desktop what you want to see in the Touch Bar for a certain application, you need to have an XML file with a certain name in a certain location. 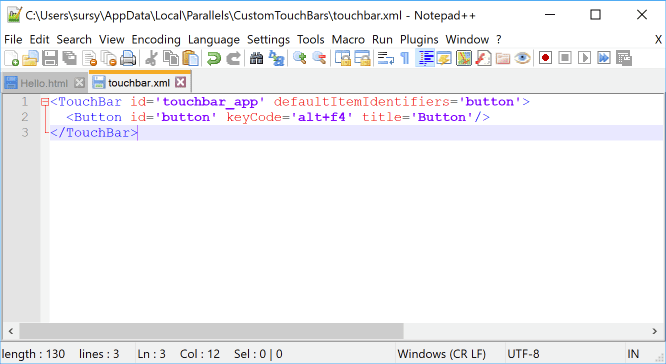 In this XML file, you will describe Touch Bar buttons. 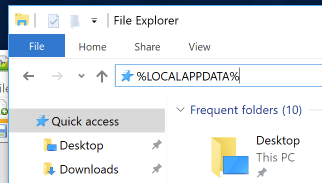 In most cases, it will open the “User name” > AppData > Local folder. In this folder, create a new folder named “Parallels”; in the Parallels folder, create a folder named “CustomTouchBars”. Then create a file. It is beneficial to use some editor with XML support. I will use the same Notepad++. Now we need to name this file properly to indicate that it is for a certain application. Note: Sometime apps will “help” you by automatically adding a file type to any file name you enter. 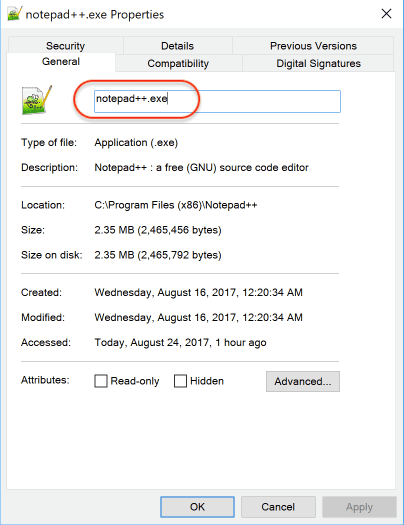 In the case of file you name as “notepad++.exe.xml”, this might result in the file being named “notepad++.exe.xml.xm“. For the advanced Touch Bar customization work, a file name like this will not work. You will have to ensure that the app does not add anything to the file name. Now let’s verify it’s working. Reboot Windows, start your application, and check the Touch Bar. Clicking the Button will quit the application in most cases. If it doesn’t work, please make sure that you have done everything properly. If nothing helps, revert to the snapshot that you have created and repeat. id – Mandatory field. Unique identifier of the element. keyCode – Mandatory field. Specifies shortcut sequence. title – Optional. Specifies text on the button. width – Optional. Specifies the width of the button, in points. image – Optional. Specifies the image on the button. See “Images”. backColor – Optional. Specifies background color of the button in RRGGBB format. textColor – Optional. Specifies text color of the button in RRGGBB format. Attribute names are case sensitive. In the keyCode parameter, you can pass one key, several keys, or a combination of them. They will go to the applications as if you have typed/pressed them. To pass a combination, use +. To pass “+”, use plus. To pass several keys in a row, use “,”. To pass “,” use comma. This one is easy. Specify the title text you want to see on a button. If no title or image is specified, then the keyCode will be used as a title. You may use standard images as per Apple® documentation. You may define custom images in xml file, but that won’t look pretty. Specify image=”base64:2x:<base64 encoded png image>”. Recommended image size is 36x36px; maximum is 60x60px. Adding the second button can be done by creating another copy of a Button section and adding its id to the list of defaultItemIdentifiers of the TouchBar element. At this point, you should be good. But if you are tech-savvy and comfortable with stuff like this—and want to invest more time into your Touch Bar customization—there are more elements and things to play with. The root element of an XML document. Defines elements which are displayed on Touch Bar. escapeKeyReplacementItemIdentifier – Optional. Identifier of a button which replaces Escape key. principalItemIdentifier – Optional. Identifier of an item which is displayed in the center of Touch Bar. Container element which specifies what buttons are displayed together. Should contain children Segment sub-elements. trackingMode – Mandatory. Must specify “momentary”. separated – Optional. Should specify “true” if buttons are displayed separately. keyCode – Mandatory. Specifies shortcut sequence. image – Optional. Specifies image on the button. See “Images”. The element which specifies what button expands into a separate Touch Bar set. May show different sets for the press-and-hold scenario. Should contain PopoverTouchBar, and may contain PressAndHoldTouchBar sub-elements that have a schema identical to other Touch Bar elements. The container element that shows buttons in a scrollable area. Should contain child Button elements with a defined width. The container element for other elements. May contain any child elements. Sometimes you want to see different Touch Bar sets based on the context you have in your application. Unfortunately, this is not possible at the moment. If you create a useful set of Touch Bar buttons for your Windows application and feel like you want to share it with others, feel free to reply here or post on Parallels forums. We also encourage you to share on Facebook or Twitter and tag us to show us your work! We’d love to share it with other users. Interested in using the Mac Touch Bar on your Mac with Windows programs? Try our 14-day free trial here!